We have selected two examples of synovial disease affecting the hip: pigmented villonodular synovitis and synovial chondromatosis. Histologic changes develop in synovial tissue in many diseases, but in most of them the changes are nonspecific, and it is not possible to make a precise diagnosis simply on the basis of microscopic examination. In pigmented villonodular synovitis and synovial chondromatosis, however, although the etiology and pathogenesis of the lesions are debatable, the histologic changes are characteristic and even specific. 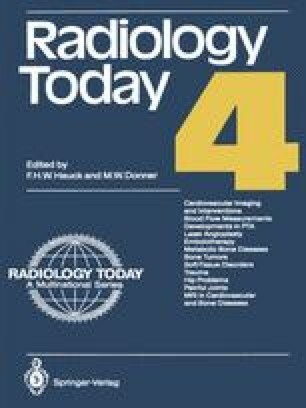 For each of these conditions, we hope to show how the radiologic changes can be related to the underlying pathology.